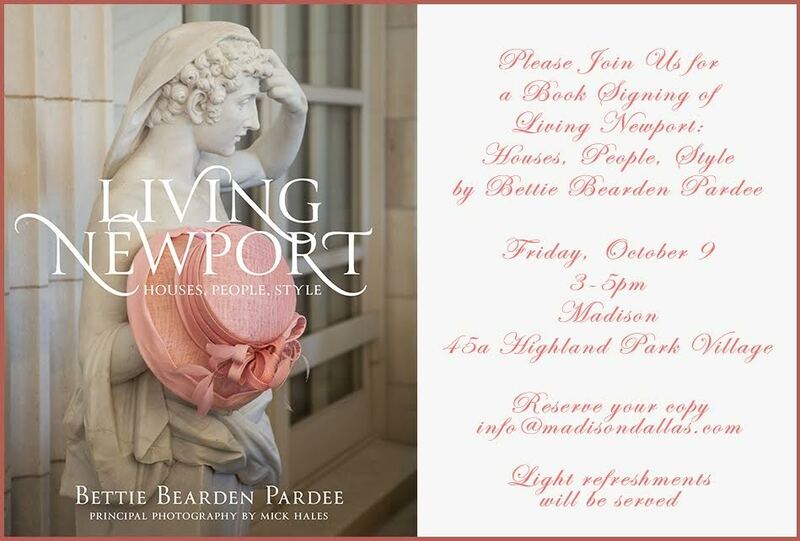 Join author Bettie Bearden Pardee this Friday, October 9th for a book signing at Madison from 3-5pm in celebration of Living Newport: Houses, People, Style. To reserve your copy email info@madisondallas.com. A signed book makes a unique and personal gift idea and this coffee table tome is surely one they’ll cherish.